Personal Genome Diagnostics Inc. (PGDx) announced it has secured an exclusive licensing agreement with Memorial Sloan Kettering Cancer Center (MSK) to the intellectual property related to tumor mutation burden (TMB) discovered by discovered by Timothy Chan, M.D., Ph.D., and Naiyer Rizvi, M.D., et.al. PGDx will leverage this IP for the development, registration, and commercialization of diagnostics products and services to characterize TMB biomarker status. Financial terms of the agreement were not disclosed. TMB is a biomarker that measures the number of mutations present in cancer patients' tumors. 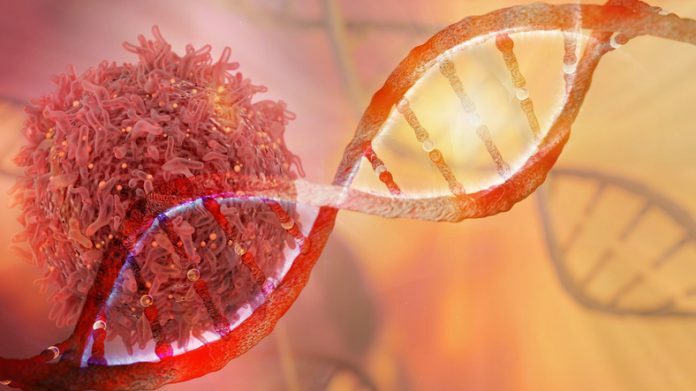 A growing body of evidence indicates that tumors with many mutations are more likely to respond to the new immuno-oncology therapies. “Researchers affiliated with PGDx were instrumental in uncovering the link between tumor mutation status and response to immuno-oncology therapies, and we were among the first to include biomarkers for tumor mutation status in our tissue and liquid biopsy profiling tests,” said Doug Ward, CEO of Personal Genome Diagnostics in a statement. The deal with MSK furthers PGDx’s commitment to provide diagnostic service in the burgeoning field of immuno-oncology (IO). In 2016, the Baltimore-based company negotiated rights with Johns Hopkins University for its microsatellite instability (MSI) testing technology. It currently has co-exclusive rights to the MSI technology portfolio with another diagnostics company, and the deal with MSK for TMB-related IP broadens its capabilities in IO. Under the terms of the MSK license, PGDx has acquired exclusive rights to MSK's TMB patents for all types of genomic testing, including tissue and liquid biopsy tests, laboratory-developed tests (LDTs), standardized in vitro diagnostic (IVD) tests and companion diagnostics. PGDx, a 2010 spin-out from Johns Hopkins has contributed research to the field for both TMB and MSI since it’s founding. A significant focus for PGDx has been in the area of immuno-oncology and biomarkers that may help to predict patient response to these therapies. The company has demonstrated the importance of tumor mutation load status and how it is related to patient response and also contributed to a 2015 study in the New England Journal of Medicine that found patients with high MSI had a much greater response immunotherapy pembrolizumab (Keytruda). The company develops both tissue-based and liquid biopsy genomic tests and services which include its ImmunoSelect-R and PlasmaSELECT 64 tests. In January, the company raised $75 million in a Series B offering which included new investor Bristol-Myers Squibb. The capital will help PGDx further its goal of bringing regulated in vitro diagnostic (IVD) genome testing to cancer patients and their physicians with the aim of helping inform precision treatments based on the specific characteristics of each patient’s cancer.